“The most recent intrusions constitute a further, unacceptable provocation. They show a lack of respect for democratic choice by a nation that is our friend and ally. They show a lack of respect between democratically and freely elected governments,” France said. 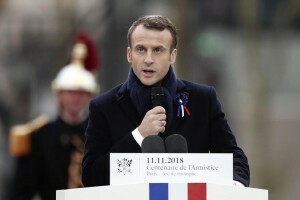 France’s announcement came after Italy’s two deputy prime ministers, Matteo Salvini and Luigi Di Maio, criticized Macron over issues such as immigration and the so-called “yellow vest” protests, The Guardian reported. France said the European election campaign doesn’t justify “a lack of respect toward any nation or its democracy” and encouraged Italy to rectify the situation. “France calls on Italy to take action to restore the relationship based on friendship and mutual respect that measures up to our history and our common destiny,” the foreign office said. Salvini responded by suggesting a meeting with Macron to mend the relationship between the two countries.